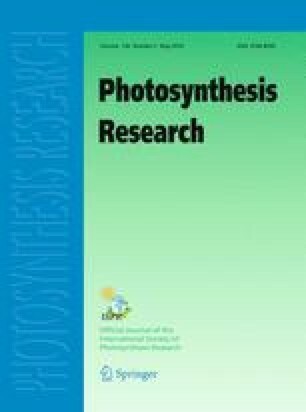 Discovery of the general outlines of plant and bacterial photosyntheses required the efforts of a large number of gifted scientists over the course of two centuries. The first to suggest that sunlight might affect plants in some way other than through conversion of light to heat was Stephen Hales, in 1725, and this notion was promptly satirized by Jonathan Swift in his description of the “cucumber project” inGulliver's Travels (1726). Considerably later, in 1772, Joseph Priestley reported the first experiments showing the production of “dephlogisticated air” (oxygen gas) by plants, and the interdependence of animal and plant life mediated by gases. Priestley and others, however, had difficulty repeating these experiments, mainly because they were unaware of the requirement for light in photosynthesis. The latter was clearly demonstrated in 1779 by Jan Ingen-Housz, who also determined that leaves were the primary sites of the photosynthetic production of oxygen by plants. When purple bacteria were first studied in the late 19th century by Theodor Engelmann, light-dependent O2 formation could not be detected. Contradictory observations in this connection were reported for a number of decades, but eventually the absence of O2 production in photosynthesis by purple bacteria was conclusively established. Attempts to explain why the bacteria do not evolve O2 led Cornelis van Niel to propose a “unified, comparative biochemical” explanation of photosynthetic processes that was widely accepted. This hypothesis, however, was abandoned soon after photophosphorylation by membranes from purple bacteria and plant chloroplasts was discovered in 1954. Unexpectedly, rapid progress in molecular biological and genetic studies of the membrane-bound reaction centers of purple bacteria indicate that current investigations are on the verge of revealing the detailed mechanisms by which energy conversion occurs in the reaction centers of all photosynthetic organisms. 1.Photosynthetic Bacteria Group, Biology DepartmentIndiana UniversityBloomingtonU.S.A. 2.Department of History and Philosophy of ScienceIndiana UniversityBloomingtonU.S.A.